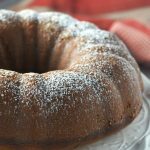 This is a simple Banana Bundt Cake with moist, flavorful crumbs, amazing texture from the walnuts and richness from the chocolate chips. Yes, I used my bundt pan today. 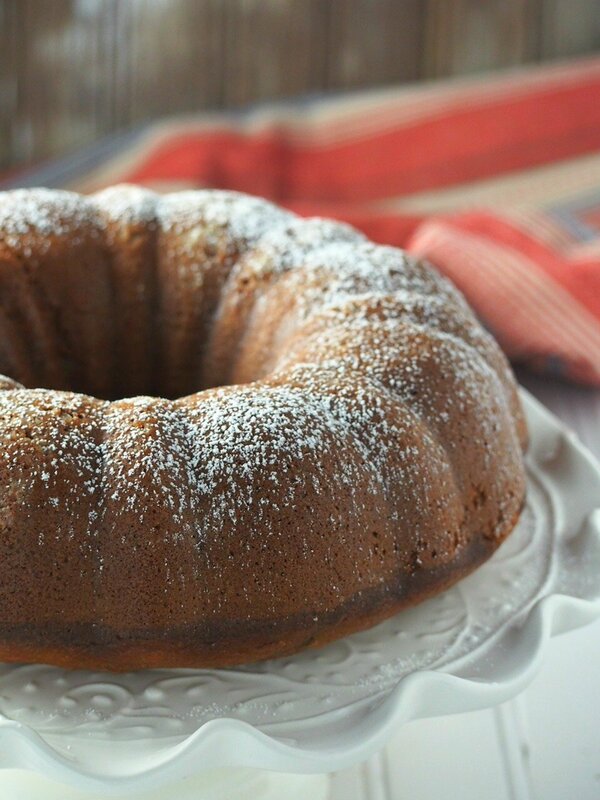 I love, love the looks of cakes baked in tube pans or bundt pans because they are beautiful without much effort. For someone like me who needs more practice in the art of frosting and decorating a cake, bundt pans are heaven sent. See the cake is artistic out of the oven without me breaking a sweat. 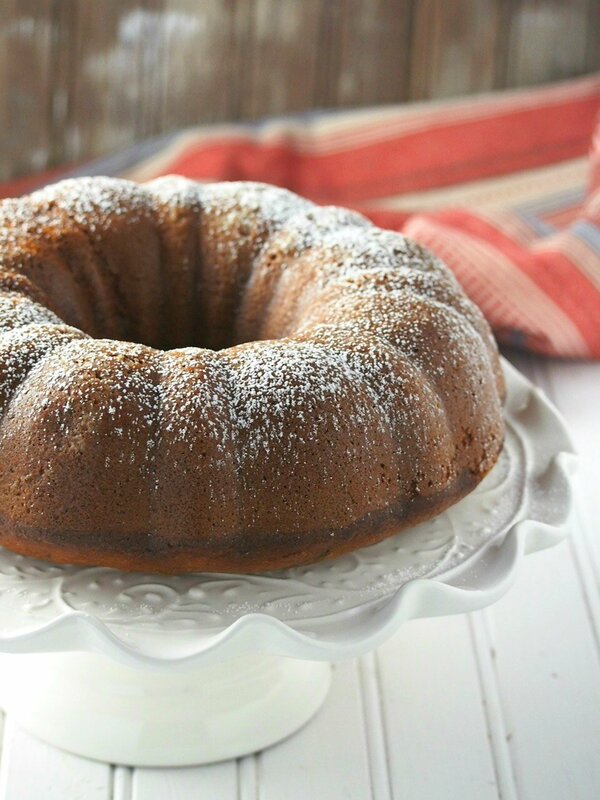 And Banana Bundt Cake. 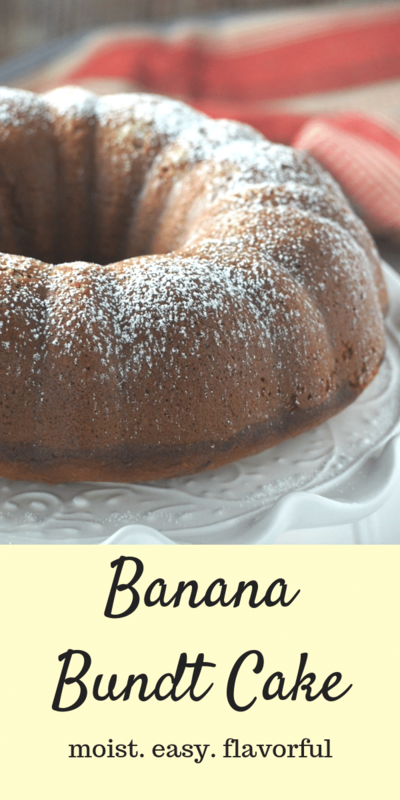 Is there anything more classic and familiar than the classic combination of banana and chocolate in a moist cake? Well, maybe there is but with this pairing of flavor, you can never go wrong. 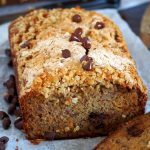 It is always a delight to bite into the fruity sweet note of banana mixed in with the indulgence of chocolate chips. Plus if you have texture coming from the nuts, then you have a complete sweet treat. 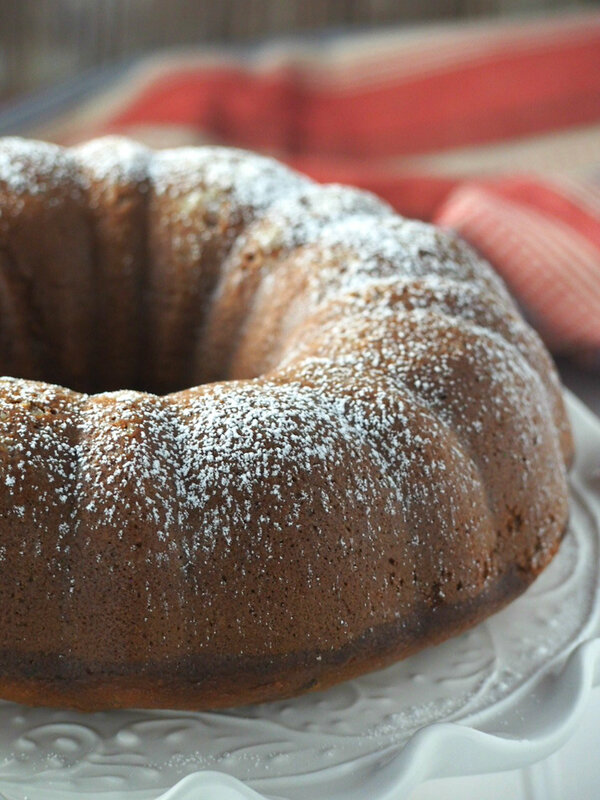 The key to this moist Banana Bundt Cake? No overmixing. Beat in the ingredients just until they are combined. That will ensure your delicate and moist crumbs. Also, make sure you have softened butter. That way, when you start the creaming process with the sugar, you will get a fluffy mixture. See? Chocolate chips and nuts for the win. And with just a simple dusting of icing sugar, I am a cake master. 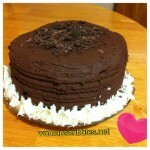 Set the cake on a cake stand and voila! You have a sweet centerpiece. So when in doubt what to bake, stick to the classic. 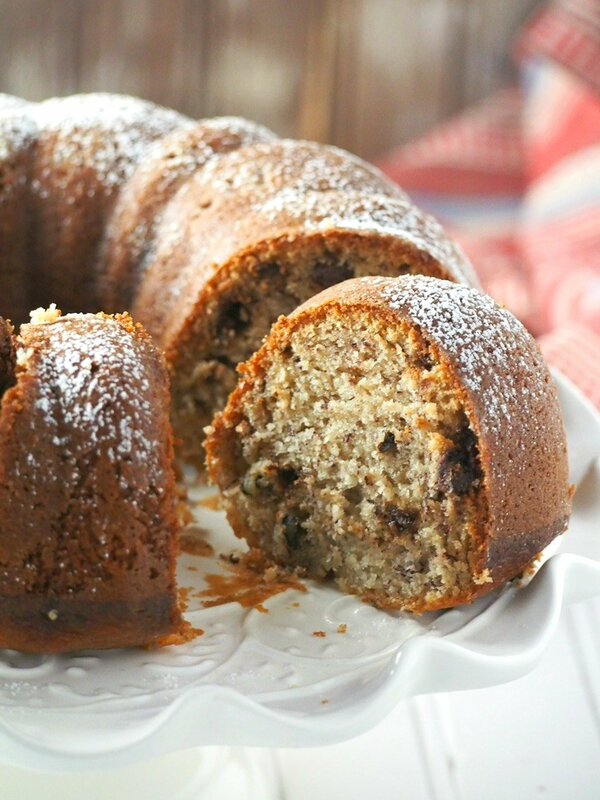 There may be a million ways to make banana cake, but this one deserves a spot in your list. 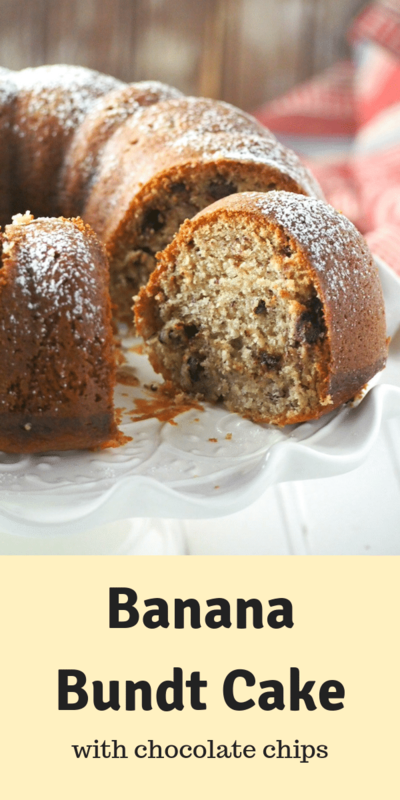 It is one truly, delightful Banana Cake. Preheat oven to 350 F. Grease and flour a 10-inch bundt pan. Cream the butter and sugar until light and fluffy. Add the eggs one at a time, beating well after each addition. Beat in the vanilla extract. 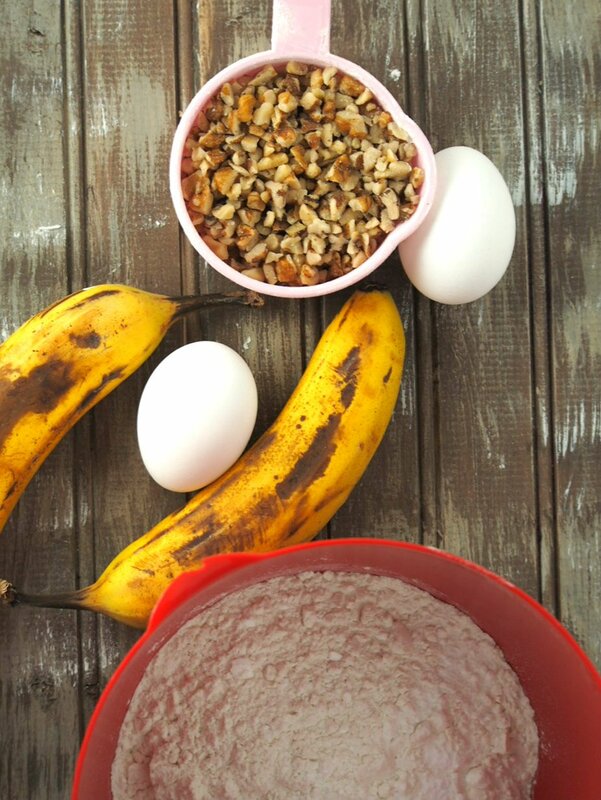 Add the bananas and beat just until incorporated. Combine flour, baking powder, baking soda and salt. Add this dry mixture to the batter in the bowl, alternately with the sour cream. Beat just until the ingredients are incorporated. 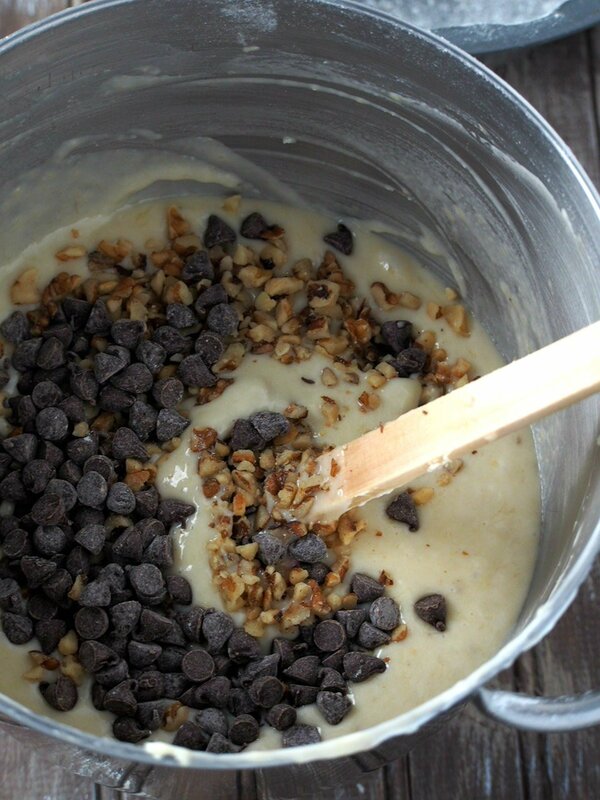 Mix in the walnuts and chocolate chips. 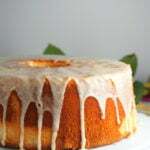 Pour the batter in the greased bundt pan and bake at 350 F for 50-55 minutes. Forgot to put how much vanilla to use! Sorry, Kathy! 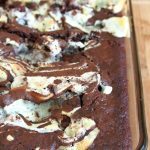 I updated and added it to the recipe now. Very moist. Perfect and yummy! Keeper repeatable 5 stars!